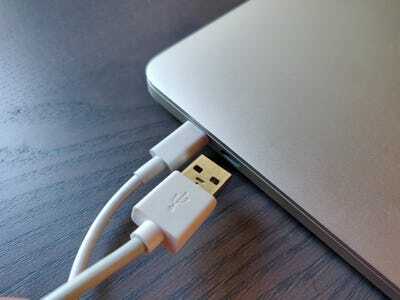 Apple’s iPhones come with USB-A-to-Lightning charging cables, which you can’t plug into Apple’s latest laptop. Apple’s new MacBook Air comes with USB-C without an adaptor or separately sold cable. 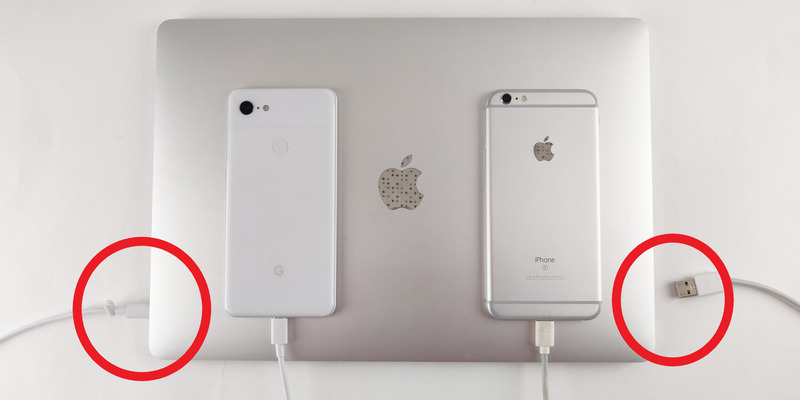 Google’s Pixel 3 phones come with a charging cable that has USB-C on both ends, so it’s easier to plug into Apple’s new USB-C-only laptops. It shows a lack of cohesion between Apple’s most popular device, the iPhone, and its other important devices like the new iPad Pro with USB-C and its USB-C laptops. Antonio Villas-Boas/Business InsiderThe experience of a Pixel user and a new MacBook versus the experience of an iPhone user and a new MacBook. The problem here isn’t so much that Apple ditched the regular USB ports on its new laptops – although, that can be a problem for some – but more that Apple doesn’t include a USB-C cable with its iPhones. There’s seemingly little cohesion between two of Apple’s popular devices when cohesion within its ecosystem is one of the main draws of adopting the Apple ecosystem. You can buy a USB-C to Lightning cable for $US20, or a USB-C adaptor with a regular USB port, which also costs $US20. 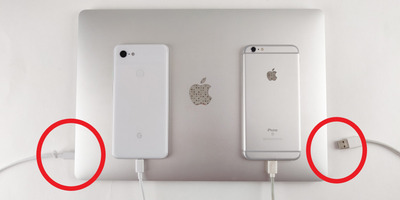 It’s just odd that you need to buy an optional extra accessory to plug in an iPhone into Apple’s own devices. Or, why doesn’t Apple just switch the iPhone’s charging port to USB-C, like it did with its new iPad Pro? 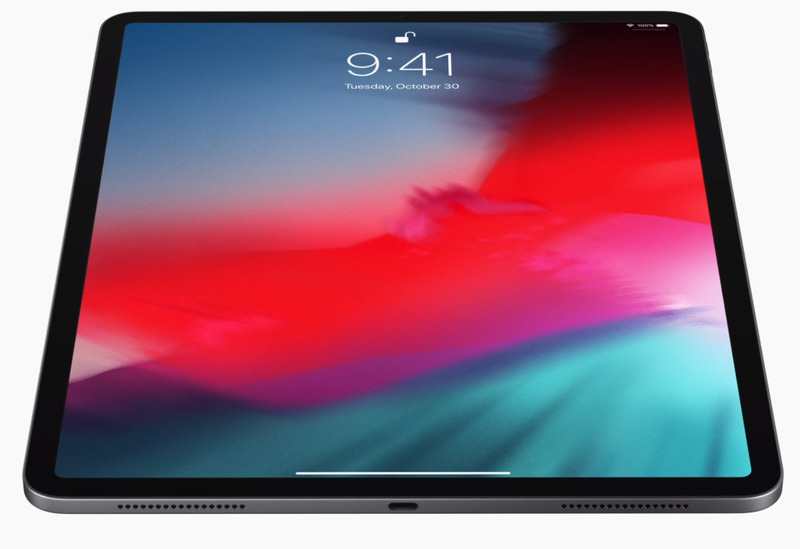 During its October 2018 event, Apple said itself that the iPad Pro can charge an iPhone. But, again, you need to buy an extra accessory to do that. To get maximum cohesion within Apple’s ecosystem, you need to fork out an extra $US20, apparently. What’s an extra $US20 when you’ve already spent so much on Apple devices, one might say. Well, that’s the thing. That extra $US20 feels like a hidden extra fee from a low-cost airline, not the all-included price tag of a first-class seat, where you get a bunch of extras baked into the price. And if Apple’s devices aren’t the smartphone equivalent of a first-class seat, I don’t know what is.